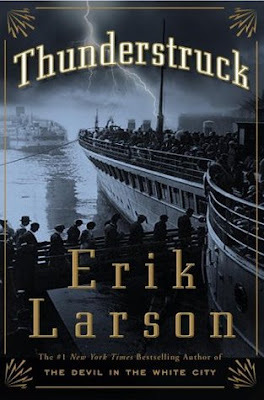 Happy Thursday and welcome to my book review post. I need to tell you that I'm rather impressed with myself these days because I'm keeping up with all the recommended reads from the Blended Blog's bookclub - GO ME!!! This is month #2 in the book club for me and I'm loving it. I reviewed all 4 April reads already (and there were some good ones so make sure you check them out) and I've been very busy in May. To be fair, I'm not technically "reading" the books but rather listening to them via the audible app on my iphone. In short, listening to books is a much more realistic way for this busy lady to actually enjoy some books. Plus, I find it keeps me productive with other things (i.e. working out or cleaning) as I can multi-task while listening - HELLO productivity!! In May, I not only finished the 4 book club books but also added a couple more to my list (woohoo!). Thunderstruck - this was my least favorite listen to date. I finished it but if I had of been reading as opposed to listening, I wouldn't have given up early on. This book had great reviews online and was supposed to be a story about the interwoven lives of two men and emerging technology. I also read that people found it incredibly suspenseful. I did not. Sure, near the end things got more interested and captivating, but truthfully, there was far too much technological language and unnecessary detail that I was fairly bored. I don't like to be negative but this was definitely not the book for me. 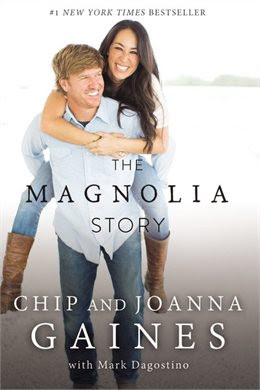 The Magnolia Story - read by the subjects of the book, Chip and Joanna Gaines share a detailed look of their lives together. Chip and Jo take the reader/listener through their relationship and professional histories and documents all the trials and successes along the way. In all honesty, I've watched half an episode of Fixer Upper and it was late at night so I missed "the big reveal" because I fell asleep. I think that had I had some prior knowledge of the couple/show I would have definitely found the book more enjoyable. It was okay, but just okay to me. Having said that, I'm more inclined to watch the show if it's on (and not too late at night) as I know a little more about the couple. I also feel the need to add that some of it just seemed a little unrealistic to me, like no matter how tough things got, everything just seemed to work out for the better. I'm not sure everyone can relate to that kind of life experience. Kind of ambivalent about recommending it - I'd say, if you're a fan of the show, have a read/listen for sure, otherwise, I'd say skip it. 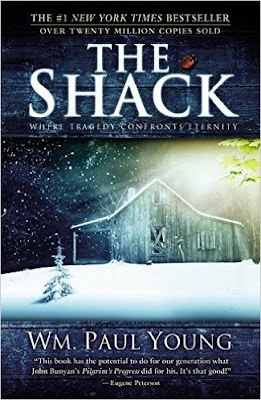 The Shack - a fiction novel that deals with faith and religion and devastating loss. I was unsure about this book prior to starting but have to admit it caught me off guard, in a good way. I was worried it would be a little too "magical" for me (if that makes sense) but I really enjoyed the listen and found it to be incredibly thought-provoking. Instead of it feeling far-fetched, I found this book inspiring and it served as a jumping point for me to consider what my own faith looks like and what that means in my day-to-day life. I would definitely recommended reading or listening to this one. The Arrangement - this was my pick for the book club this month. I picked it because it was said to be both hilarious and emotional and it had glowing reviews. In short, it's about a couple who decides to try having an open marriage. It was an easy listen, had interesting characters and left me wondering how things would end up. 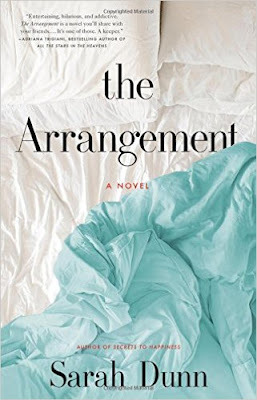 I found this book to be a good representation of the changes and challenges that most relationships face and while most of us will never endeavor an open marriage (hell to the no for this lady), you can certainly see aspects of your relationship in that of the main characters. A great summer read and entertaining start to finish. 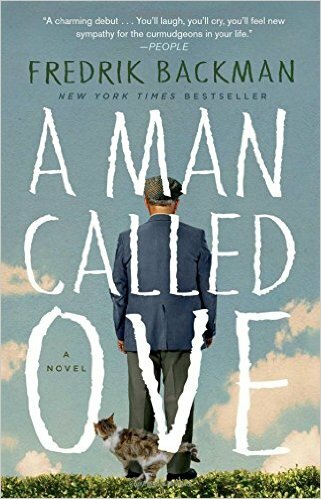 A Man Called Ove - a heartwarming story about a grumpy old man who you can't help but simultaneously dislike and love. I found this book humorous in an unsuspecting way and I couldn't help but giggle out loud at some of this miserable man's antics. I also found myself smirking as his walls got broken down by his new found friends. A beautiful read/listen and really makes you consider the impact we have on the lives on others. I Liked My Life: A Novel - I happened upon this title while browsing for my next listen on Audible. I am so glad I picked it! This book instantly captivated my attention and I found myself doing anything I could to find time to listen (even putting away laundry!!!). I finished this one very quickly and it held my interest every second. A thoughtful story about family, love, loss and death. I know books are supposed to leave you wanting more but this was left me feeling perfectly satisfied. Although, I would absolutely read more from this author based solely on this book. 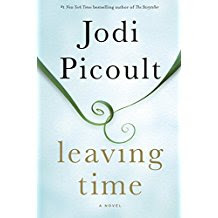 Leaving Time - my third Jodi Picoult book and I have yet to be disappointed. This book follows a young teenage girl and her unlikely companions in the search for her missing mother. 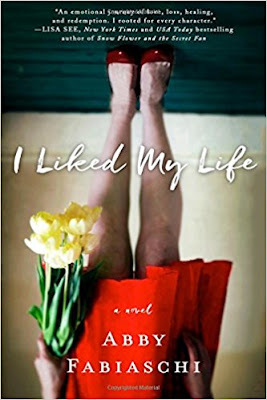 The book takes place from a number of different character perspectives and while I sometimes find that challenging to listen to, I found this book was able to do it in a way that left me unsure who I wanted to hear from next but wanting to know more from each perspective. I liked all the interesting information about elephants and their nature (though, I'm sure to some it might seem like too much information) and how alike humans they seem to be. The ending was a complete shock to me and left me rethinking the entire book (in a good way). If you like Jodi Picoult, Leaving Time does not disappoint. I JUST realized that I listened to 7 books this month!!!!!!! That's much better than the 1 a year I was averaging post-children. Yup, listening to books is definitely the way to go for me. Have you read any of these books? I'd love to hear your thoughts? Anything amazing reads I need to add to my "must read/listen" list?